In our continuing series of 47 films to see before you are murdered in your dreams, we present the neo-noir classic The Yakuza. Sydney Pollack’s The Yakuza is a top class crime movie. Private detective Harry Kilmer (Robert Mitchum) returns to Japan in order to arrange the release of his friend’s daughter, who’s been kidnapped by Japanese gangsters. Or Yakuza. 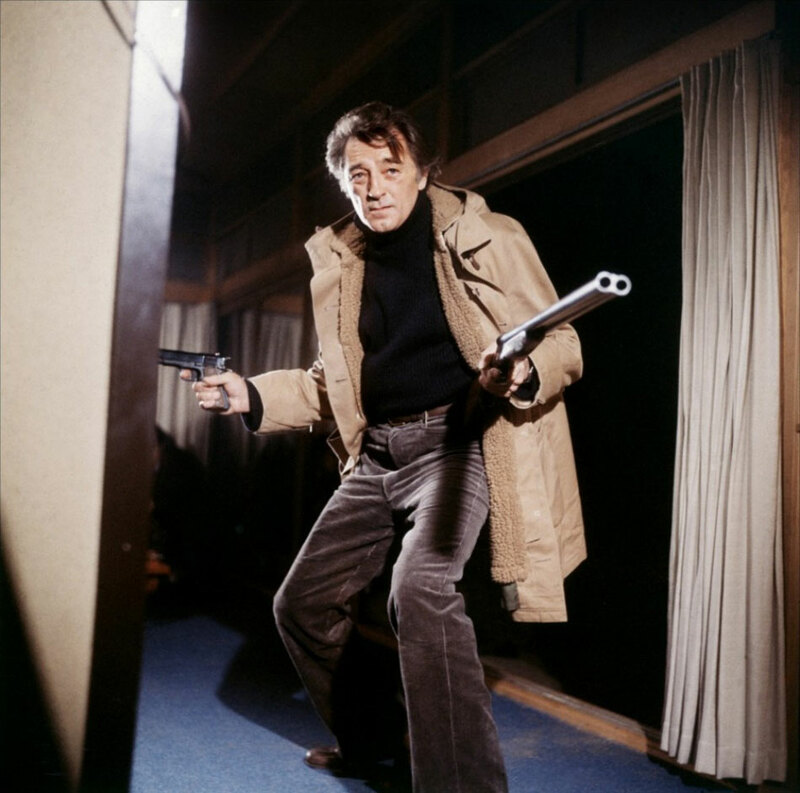 Accompanied by a bodyguard Dusty (Richard Jordan) he must seek out an old friend Ken (Ken Takakura) who owes him a debt to help him navigate the murky world of the Tokyo underworld. He also needs to meet up again with the woman Eiko (Keiko Kishi) he knew and loved in the war and see if there’s anything worth rekindling. Directed by Pollack from a script by the Schrader brothers with help from Robert Towne, the film is rich in 70s ambiguity. The first two acts are a moody slow burn, with plenty of dialogue and Mitchum at his sleepiest. His face is that of a good man whose been scrunched up like a piece of paper. He’s not exactly a fish out of water. He knows Japan and speaks some Japanese. He’s a quiet American. But here everything is ambivalent. And we only know that all is not as it seems. But then the third act launches into the kind of violence that John Woo would make supersonic in his Hong Kong shoot outs. It’s a wonderful sequence. Ultimately, the catharsis doesn’t last long. Mitchum brings such a gentle melancholy to the world that we feel with him. He’s a superb actor who has already featured in our 47 films with The Friends of Eddie Coyle. And this is another worthy addition. If you’ve already seen it, watch it again. And if you’ve never seen it you’re in for a treat.